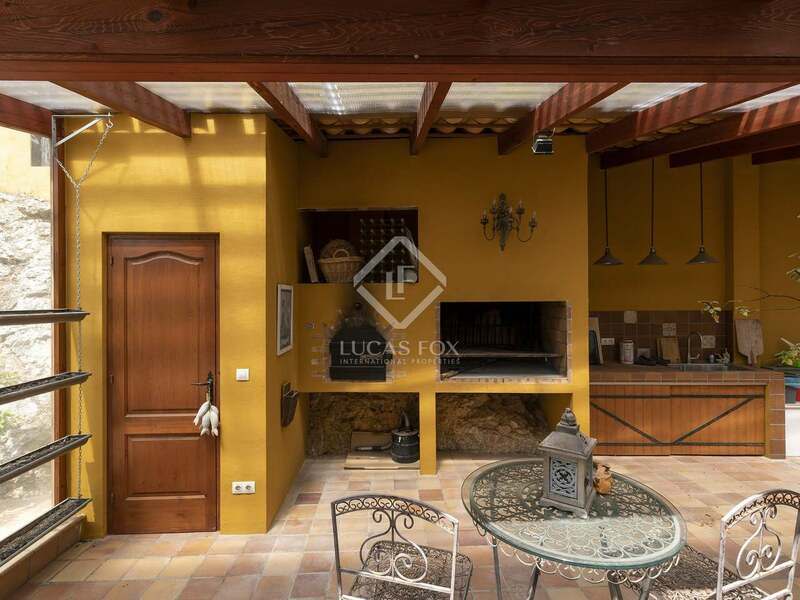 Completed in 2014, and set on an exceptionally private corner plot with open country and mountain views, we find this spacious 4-bedroom villa set on one floor plus basement, with beautiful tropical hardwood finishes as well as multiple fireplaces and barbeque areas. 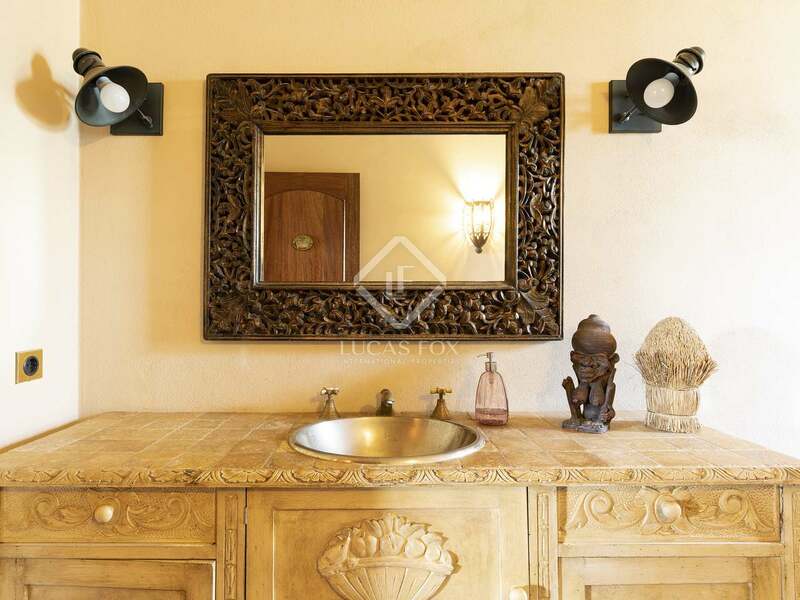 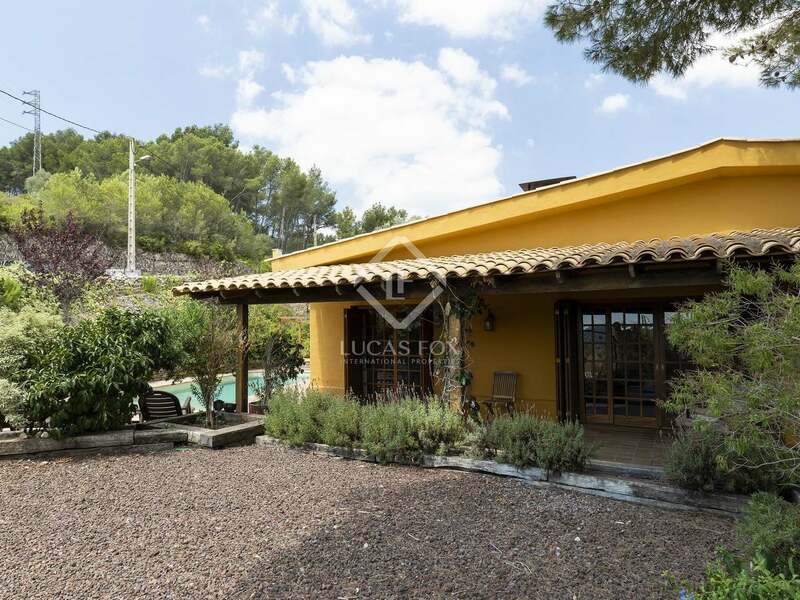 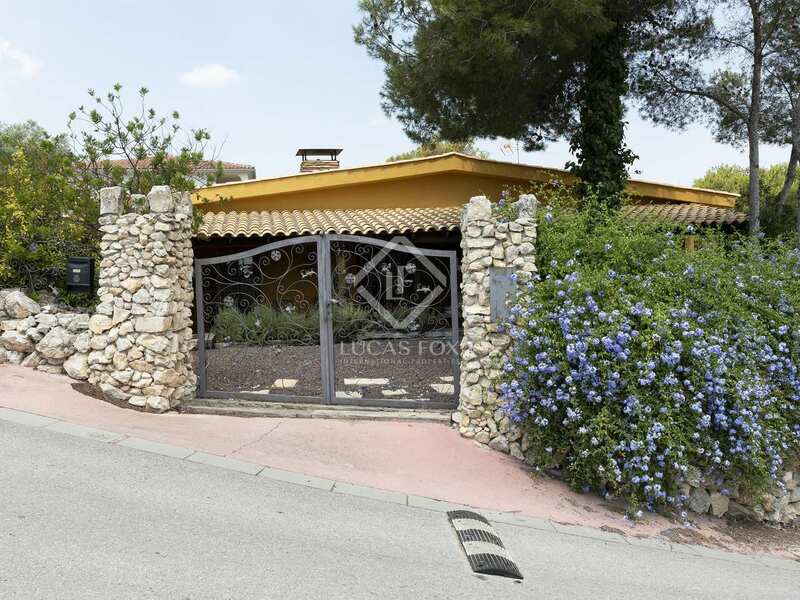 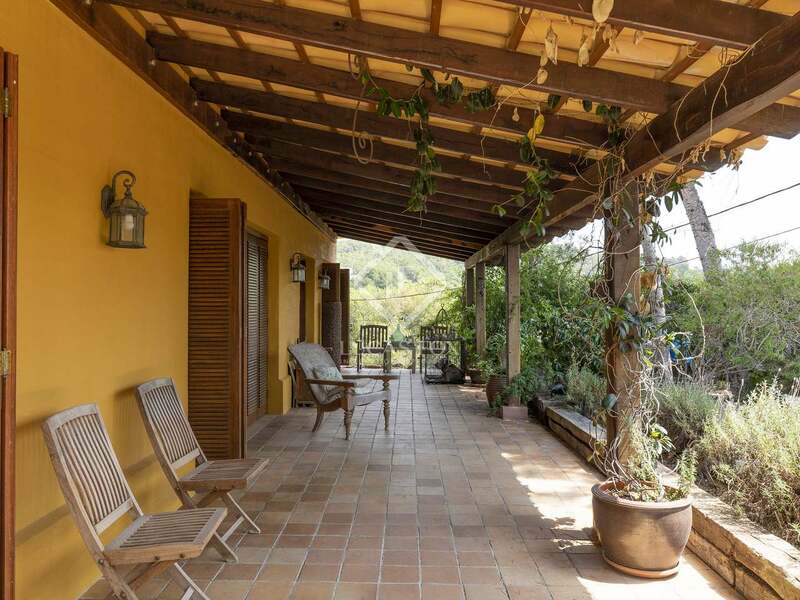 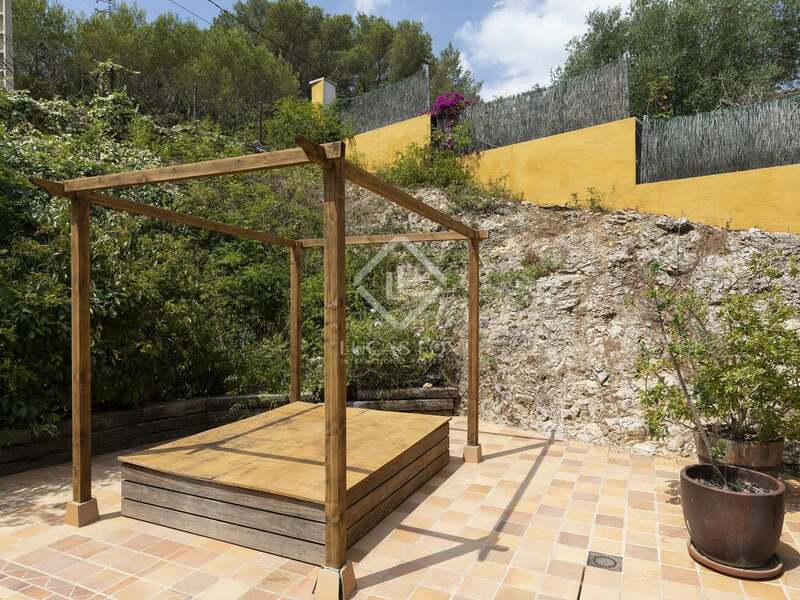 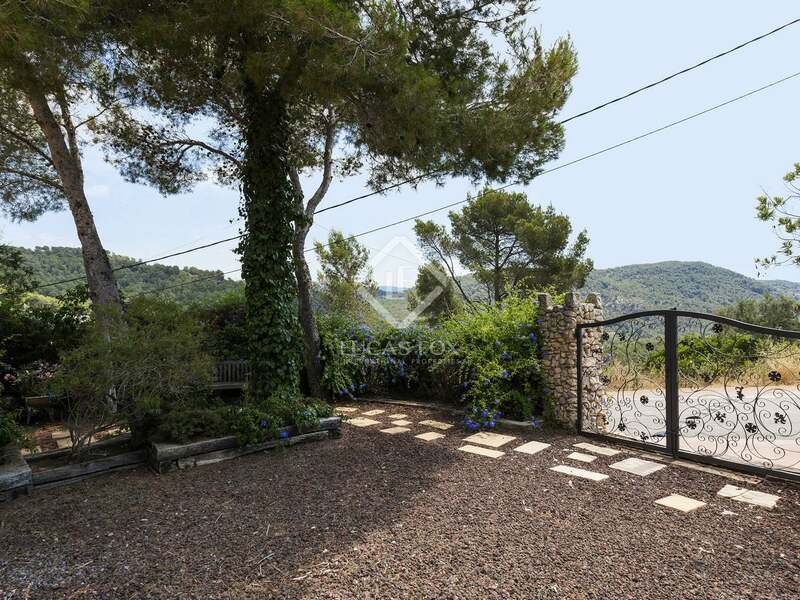 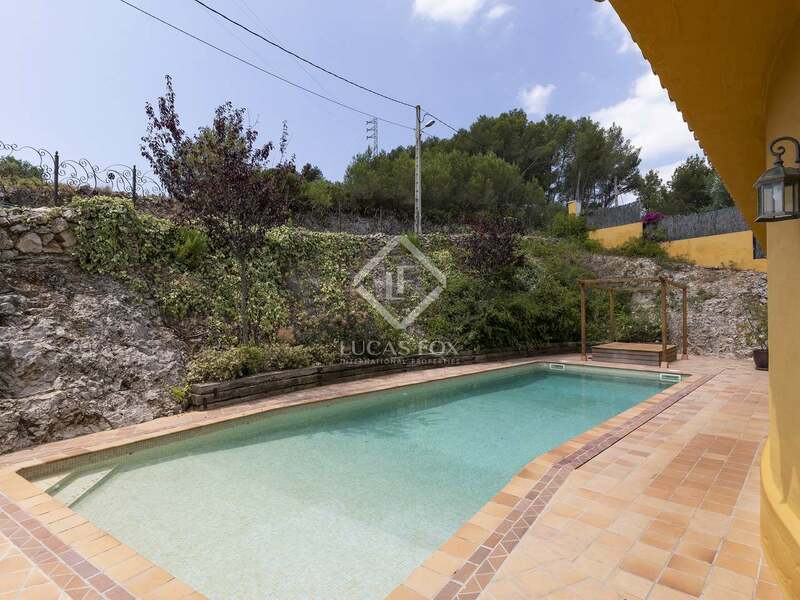 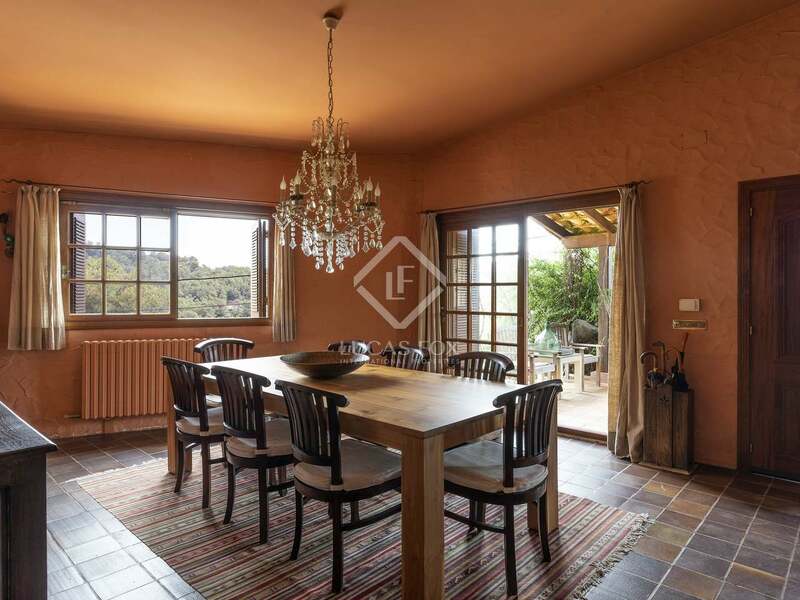 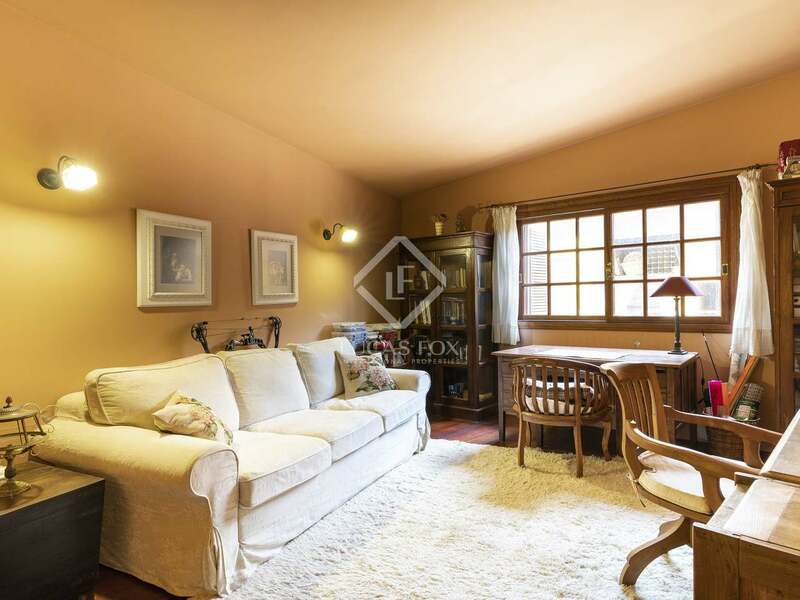 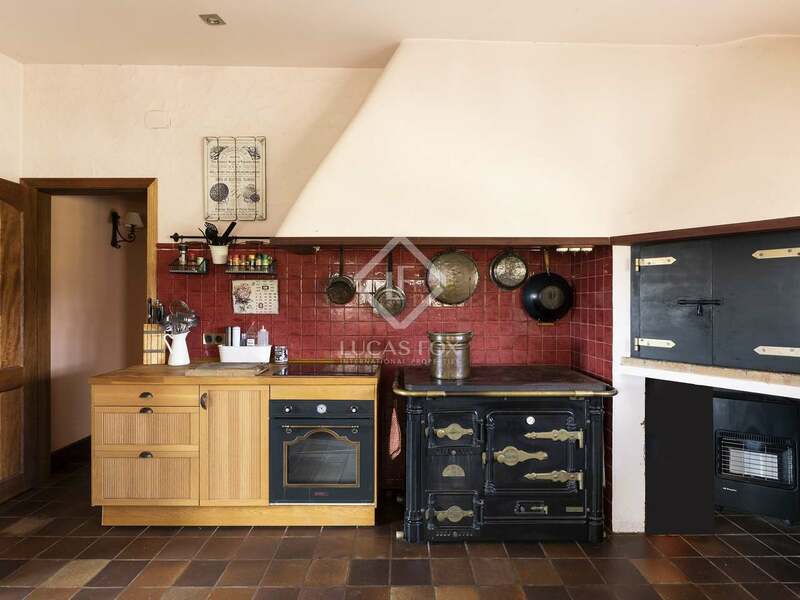 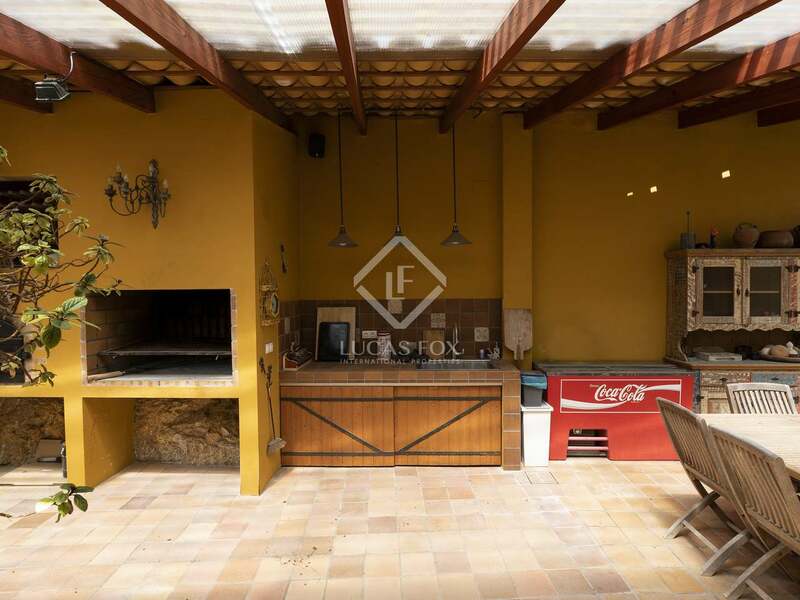 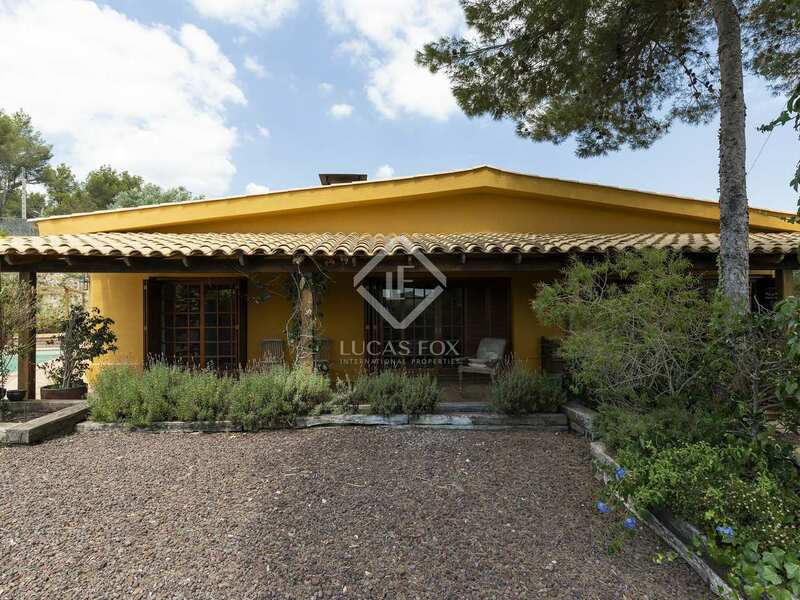 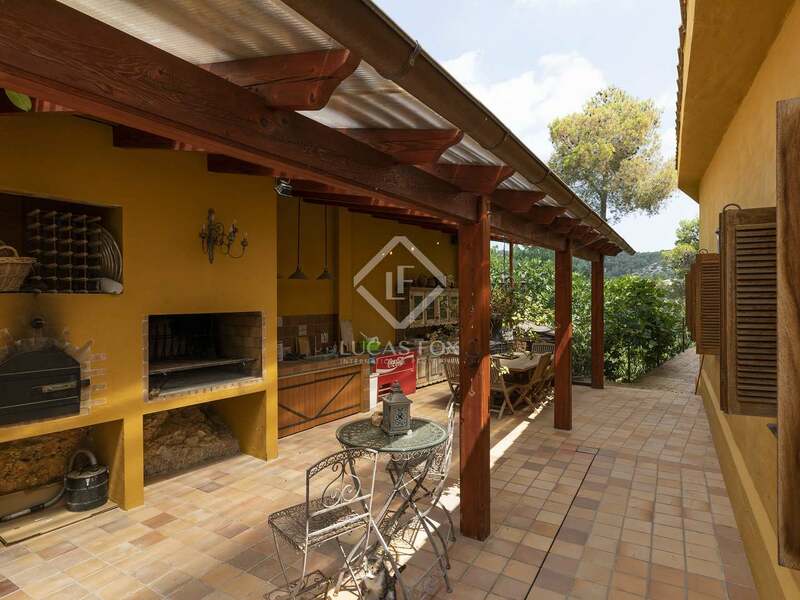 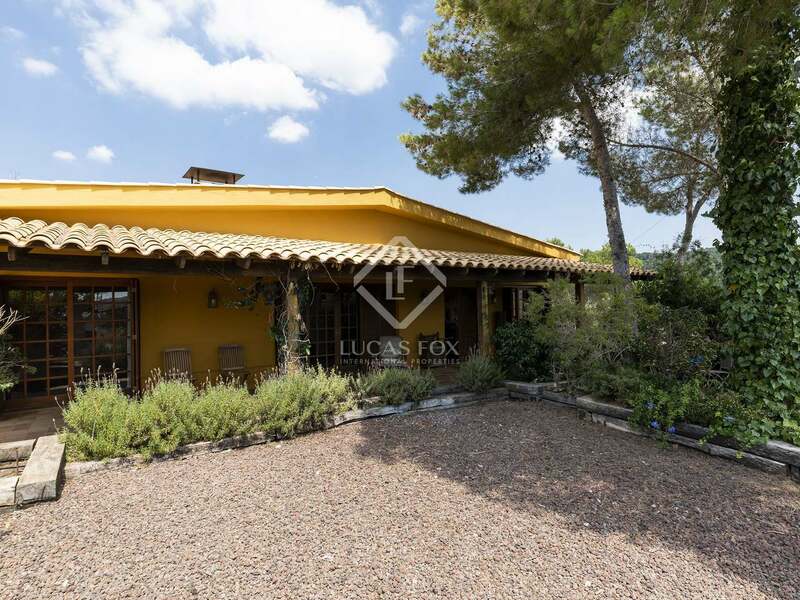 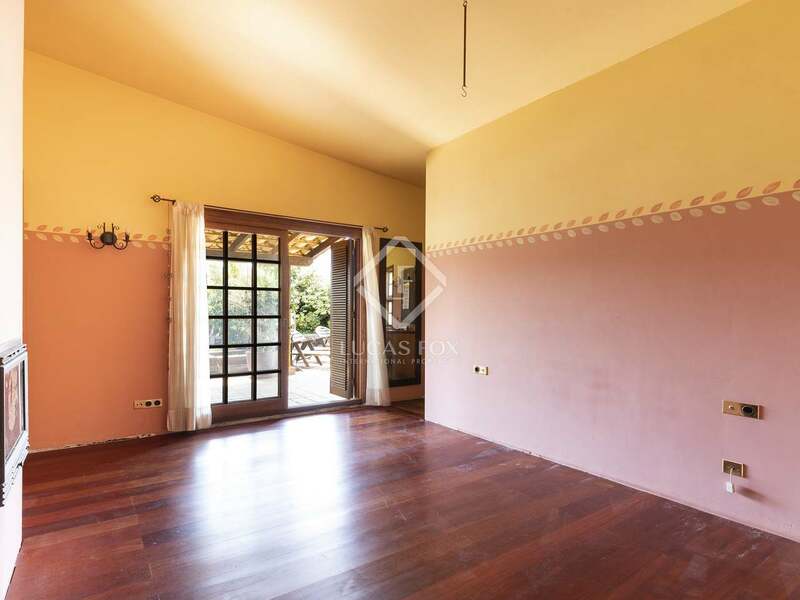 Located in Mas Mestre, Olivella just 10 minutes' drive to Sitges, this is a warm and spacious family home, constructed using high quality rustic-style materials. 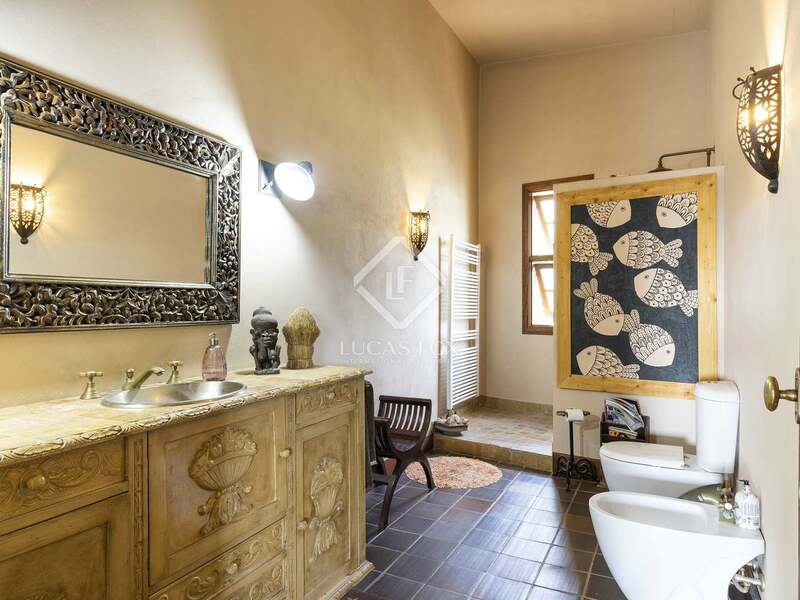 Entering via wrought iron gates we pass the large pool to our left as well as plenty of covered terrace, taking us to the spacious lounge/diner with high ceilings, 2 sets of patio doors and a fireplace taking up a whole wall. 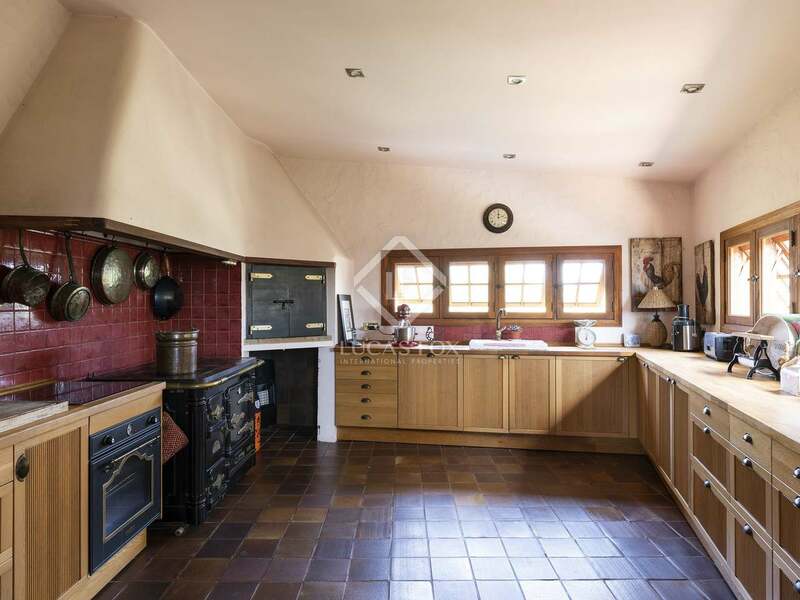 We then find a generously sized kitchen with panoramic views. 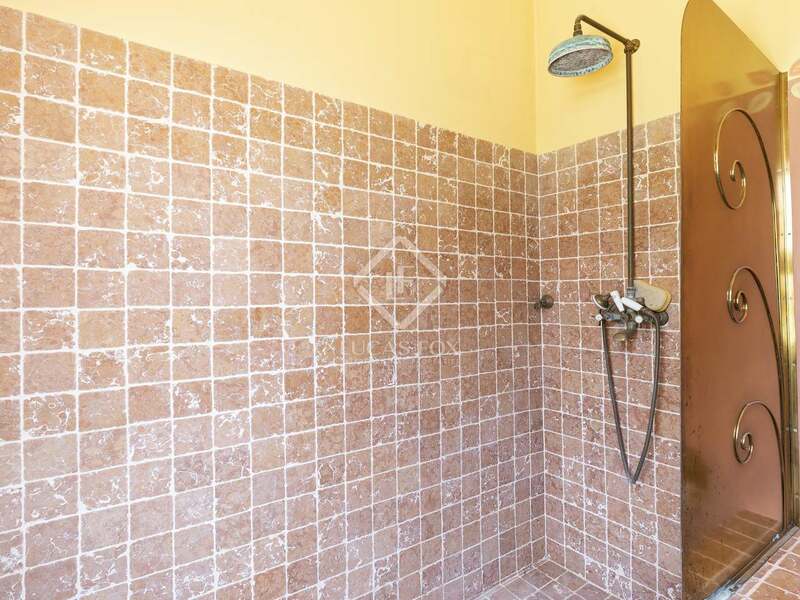 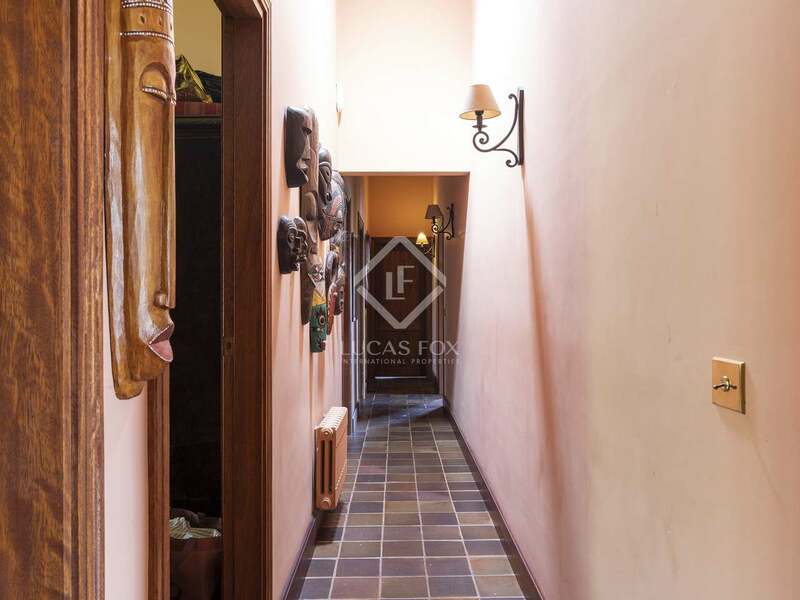 A central hallway takes us to a laundry room with garden access, a stylish oversized bathroom/wet room and 4 large double bedrooms including a master suite with inbuilt fireplace, patio doors, and another large bathroom. 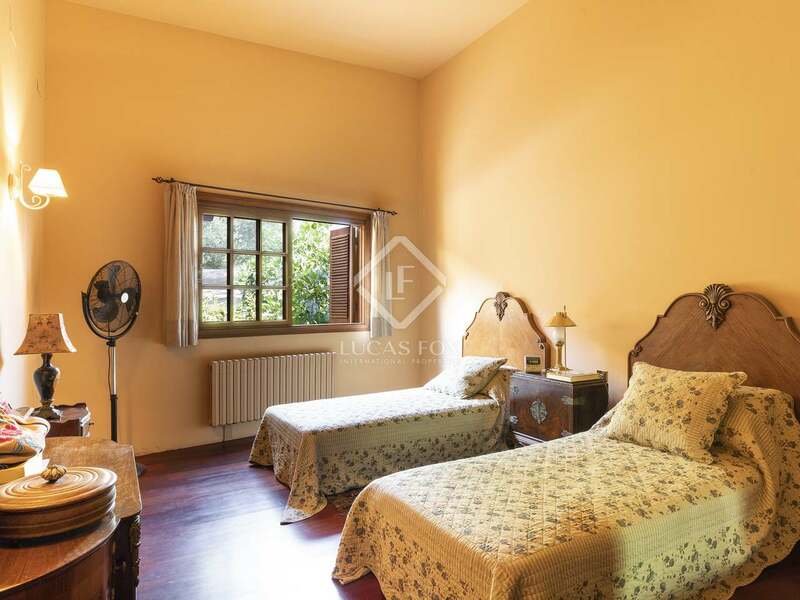 One of the bedrooms is currently used as an office / second living room. 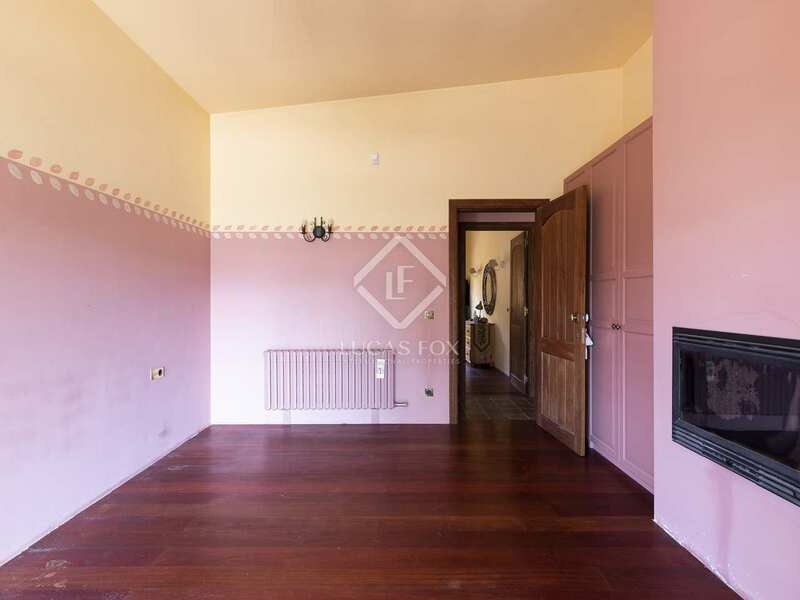 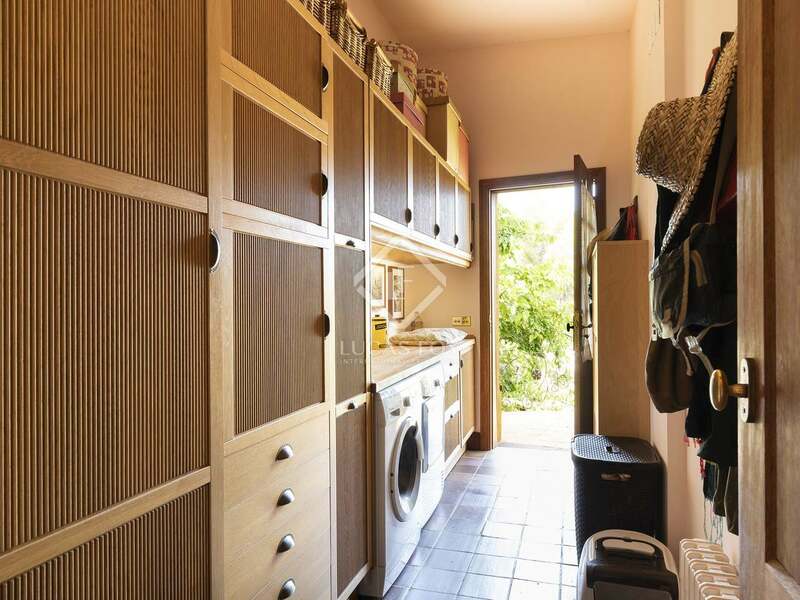 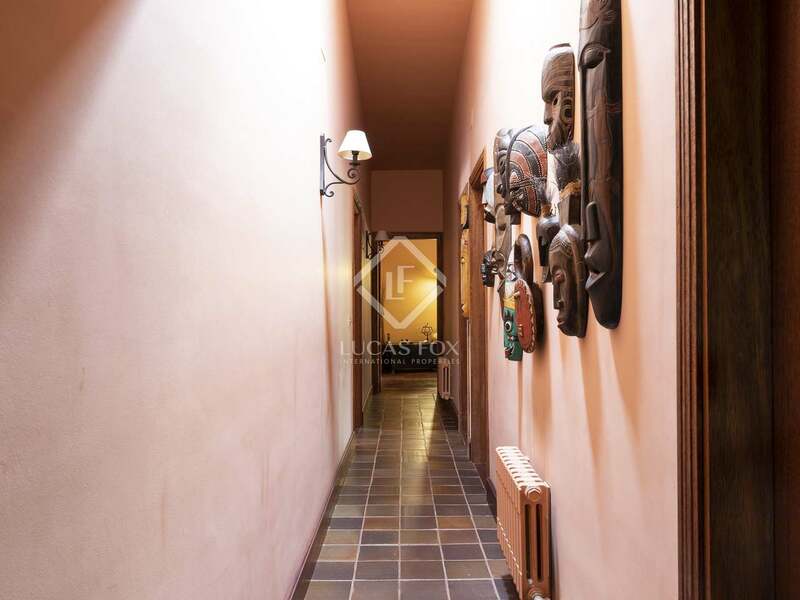 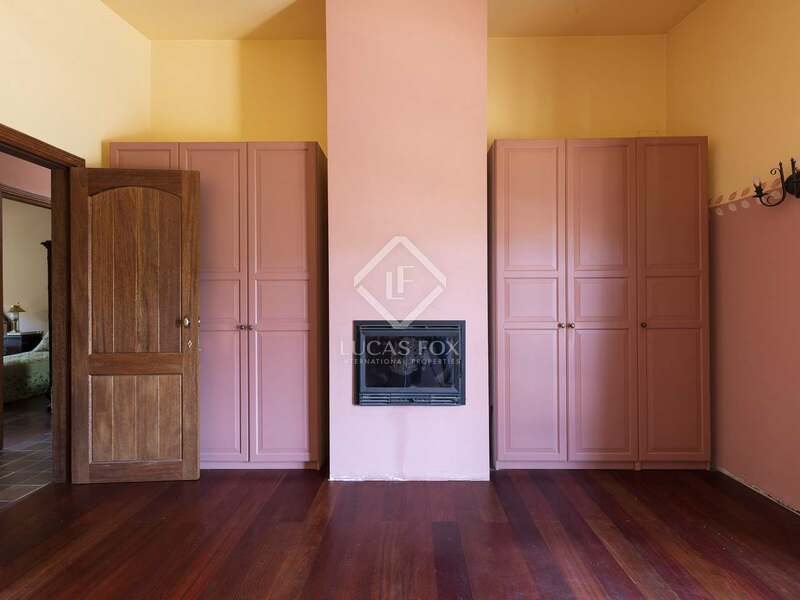 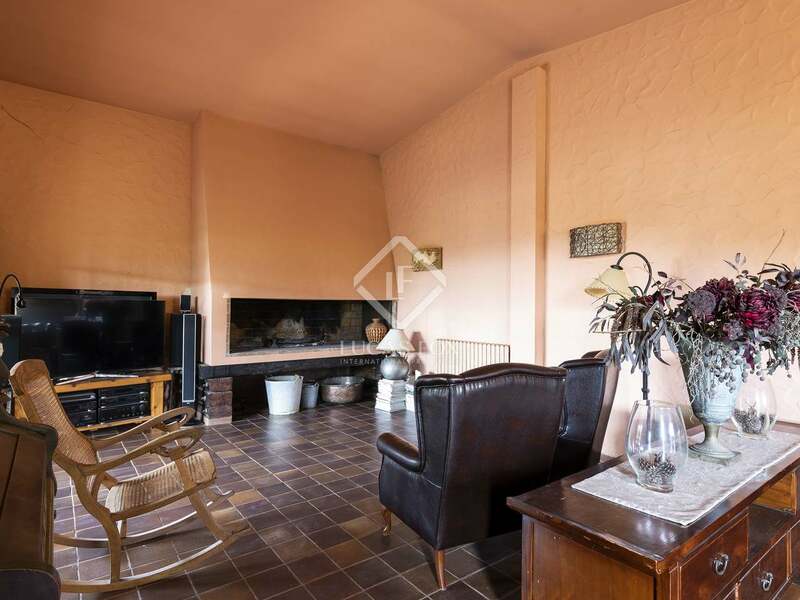 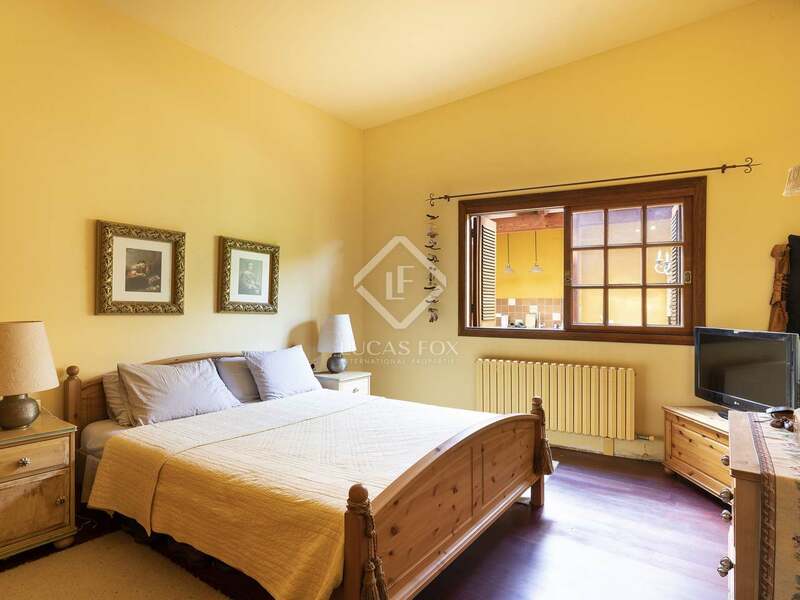 There is also a door off the hallway with a staircase leading down to a 150 m² basement space and garage, ideal for use as a games room, gymnasium and bodega. 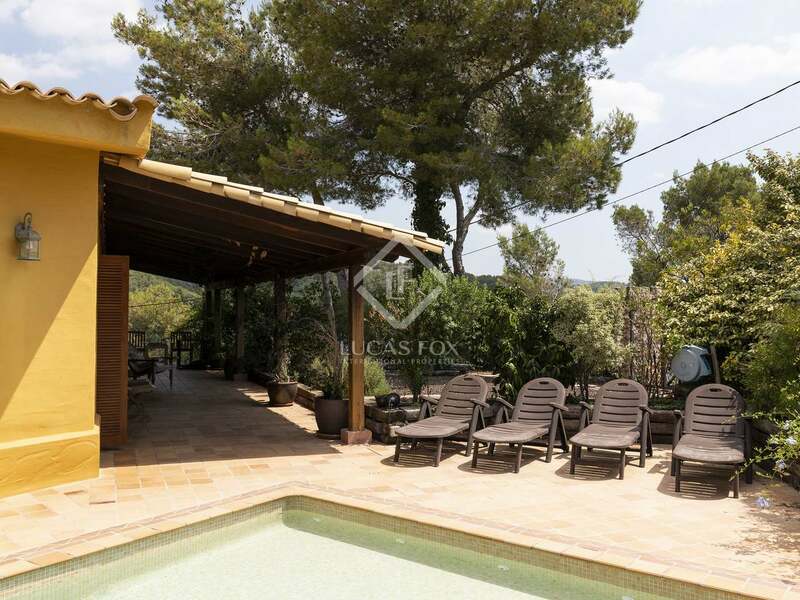 Outside, as well as the pool, the garden area boasts a very large outdoor entertainment area complete with a summer kitchen, barbecue and table and chairs. 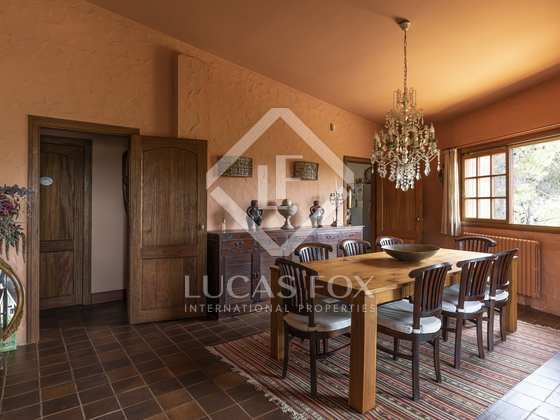 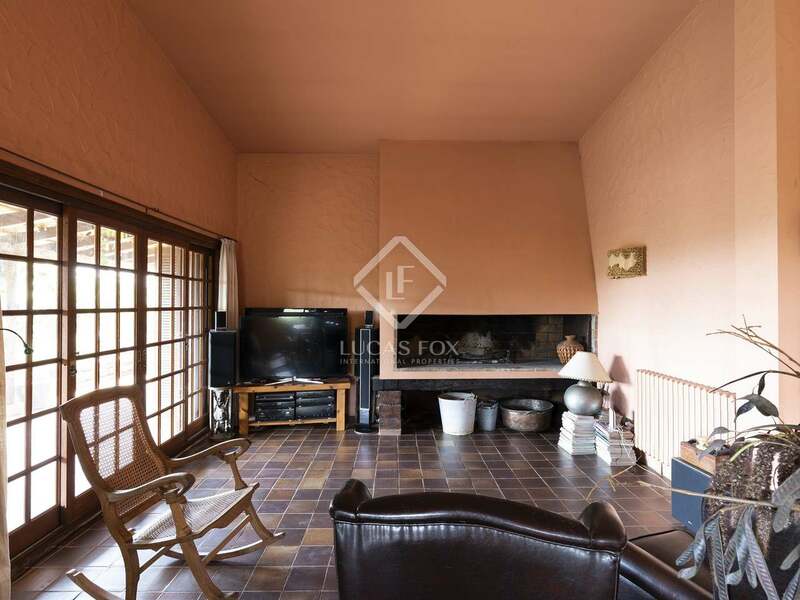 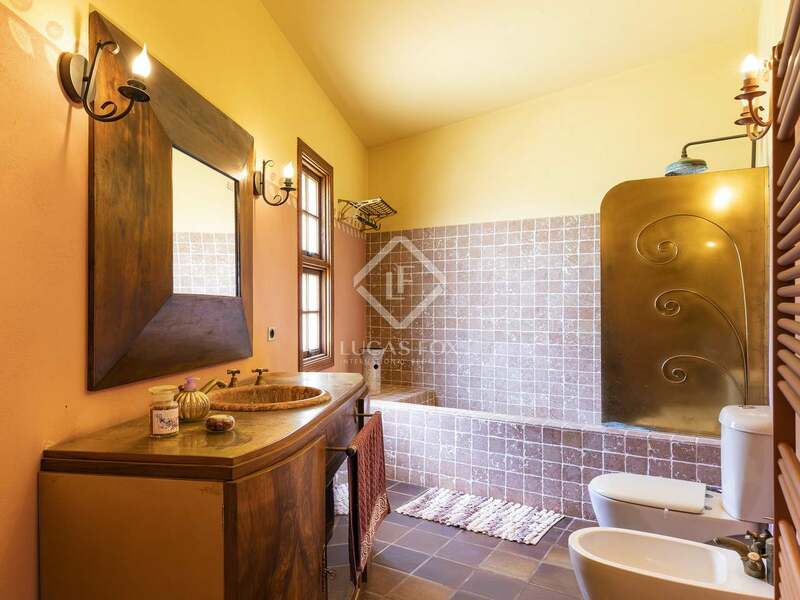 The rustic hardwood finishes throughout this house bring an elegance and warmth to the property which would make an ideal family residence, holiday home or rental investment. 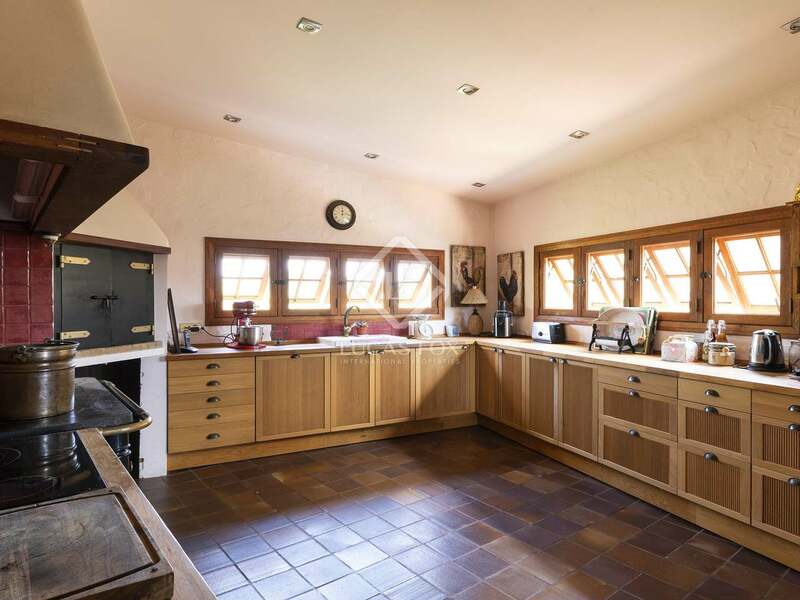 This property is situated on a 1000 m² corner plot with open country views stretching for miles. 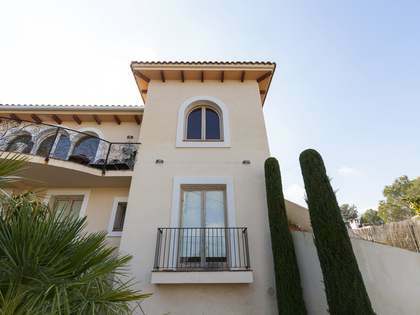 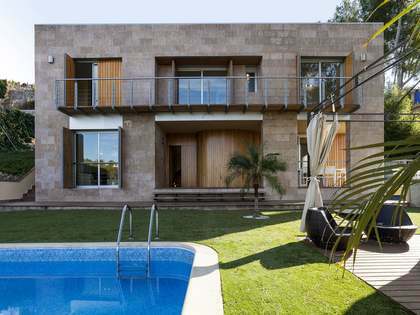 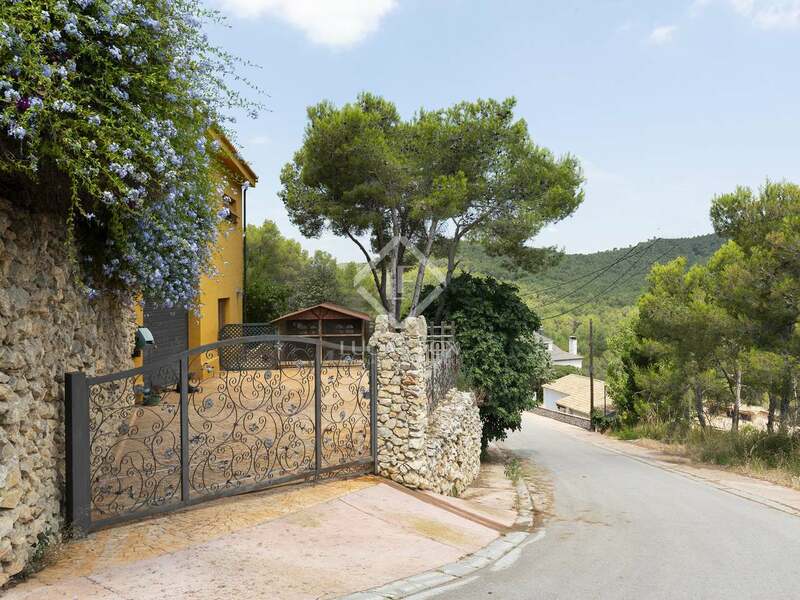 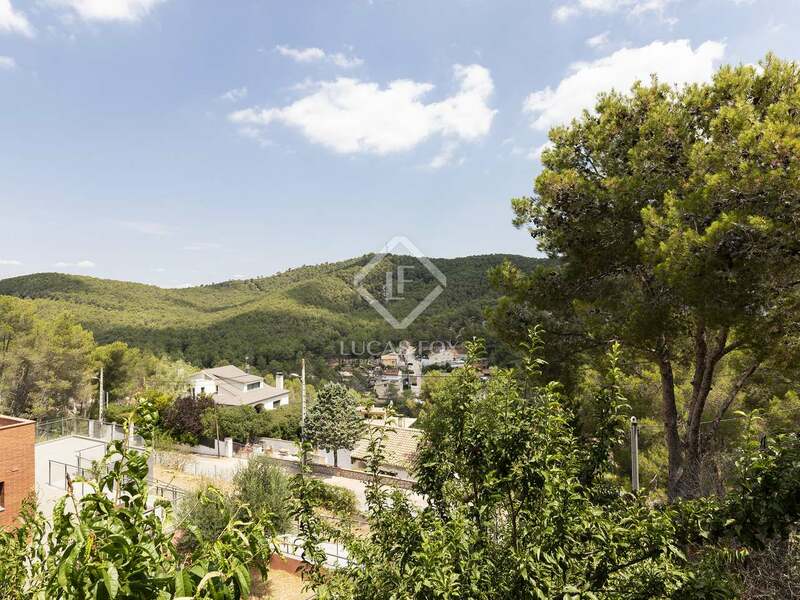 It is located in the Mas Mestre area of Olivella, just a 10-minute drive to Sitges, beaches and international schools.